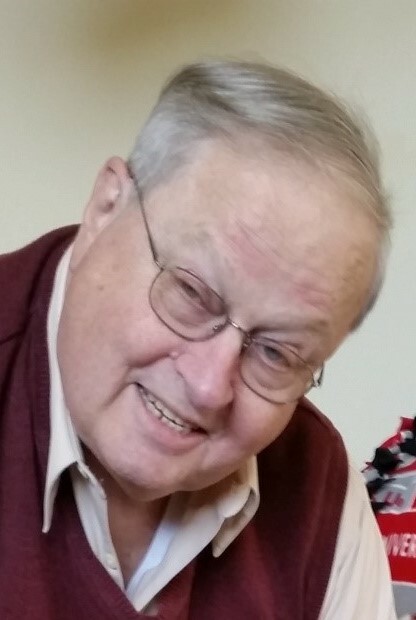 James Robert Morris, age 73 of Troy, passed away Monday, September 3, 2018 at Upper Valley Medical Center. He was born January 18, 1945 in Hartford, CT to the late Jack and Nevalyn (Ewing) Morris. Jim is survived by his wife, Patricia (Shepherd) Morris; daughter Laura (James Todd) Martinsen of Partlow, VA; son James R. (Stephanie) Morris of Granger, IN; as well as five grandchildren: James E. Martinsen, Alyssa L. Morris, James R. Morris, Caroline P. Morris, and Lillian M. Morris. He is also survived by cousins Carole A. Morris, Nancy J. Morris, Mary Jane Harrod, and Diane Short. He was married to his wife Pat for 53 years. He was preceded in death by his brother John E. Morris. Jim was a 1963 graduate of Troy High School and received a Bachelor’s Degree in Journalism from Ohio University in 1967. He was a journalist and well known for his outdoor columns in the Dayton Daily News. He started his career at The Post in Athens, OH at Ohio University then went to the Troy Daily News. He spent 27 years as the sports editor, executive editor, and vice president. He contributed stories to Ohio Outdoor News and Press Pros online magazine. Jim authored two books about trapshooting in Vandalia, OH: The Grand American and Homegrounds. Jim won many awards, the most recent being Outdoor Writers of Ohio’s award for Outstanding Service in all of Ohio. Other awards include Outdoor Writers of Ohio’s Outstanding Media Achievement award, Best Magazine Column, Best Online Column. He was also a member of the Baseball Writers Association of America. A viewing will be held on Saturday, September 8th from 1-3 pm at Fisher-Cheney Funeral Home, Troy, followed with a Eulogy given by Leo Wildenthaler and an open house at 4 pm at the Morris residence. Interment will be held at a later date in Walnut Hill Cemetery in New Hampshire, OH.